Escaping the paradise tax: The Campbell family is moving to Georgia. 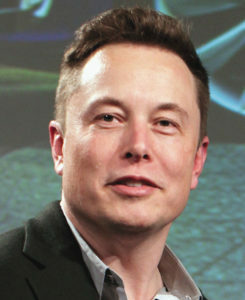 E, a fifty-seven year old widow, rents a small ‘Ohana unit attached to a forty-five year old 12th Increment tract home. She shares the one-bedroom, one bath unit with her youngest daughter and her daughter’s two school-aged children. Collecting disability from a stroke she suffered about a decade ago, E has a limited income. Together, E and her daughter, who works at Kahului Airport, pay $875 monthly plus utilities. Before moving into her current home, E paid a much higher rent. E is fortunate that her current landlord is an aunt. Hawai‘i residents continue to pay what is termed as the Paradise tax. Some recent national reports reflect the great challenge posed by relatively stagnant local incomes and Hawai‘i’s rising cost of living. Addressing housing and basic living costs continue to be a dilemma for policymakers, and not everyone can get an affordable rental from a relative. The National Low-Income Housing Coalition (NLIHC) recently released its annual report on housing costs and renters’ wages, Out of Reach 2017: The High Cost of Housing. NLIHC surveyed the Housing Wage: “the hourly wage a full-time worker must earn to afford a modest and safe rental home without spending more than 30% of his or her income on housing costs.” NLIHC asserts that more than 11million Americans spend more than half of their incomes on housing costs, requiring those households to restrict spending in other areas like food, medical care and transportation. The National Housing Wage of $21.21 for a two-bedroom rental home, exceeds the federal minimum wage of $7.25 per hour. The Hawai‘i Minimum Wage is presently $9.25 and will rise to $10.10 in January 2018, but is still less than half of the National Housing Wage. As anyone who rents in the islands would expect, Hawai‘i ranks high in the amount of income renters pay for housing. The City and County of Honolulu’s required Housing Wage ($38.12) is fourth among Metropolitan Areas, behind only the Bay Area: San Francisco ($58.04), San Jose-Sunnyvale-Santa Clara ($42.69) and Oakland-Fremont ($41.79), and seventh behind six Northern California Metropolitan Counties (Marin, San Francisco, San Mateo, Santa Clara, Alameda, Contra Costa). Kaua‘i County ($28.13) is eighth among non-metropolitan areas or counties and Hawai‘i as a State ($25.49), tops the list for nonmetropolitan areas. Hawai‘i’s approximately 194,000 renters face the largest gap (-$19.56) between average renter wage ($15.64) and the two-bedroom Housing Wage ($35.20). Only the District of Columbia ($33.58) and California ($30.92) also have Statewide Housing Wages over $30. NLIHC estimates Minimum Wage workers in Hawai‘i, working a standard 40-hour work week, would need to work 116 hours to afford a one-bedroom home ($1,394) and 152 hours for a two-bedroom home ($1,830) without paying more than 30% of their income. The Maui Housing Wage ($30.15) is second to Honolulu. Some attention is played each year on increasing the supply of housing that is affordable not just under Housing and Urban Development (HUD) standards but also for Hawai‘i’s typical working household. Another part of the quandary is to address incomes for working households. Hawai‘i’s legislature did hike the minimum wage a number of years ago with a goal of reaching $10.10 in 2018. With housing—both supply and affordability–continuing to be challenging for working families, legislators debated raising the Hawai‘i Minimum Wage even higher. SB107, which proposed incrementally raising the Minimum Wage to $15.00/hour was approved by the Judiciary and Labor committee but did not make it through the entire process. 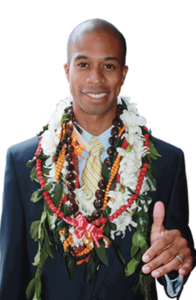 Another bill introduced by South Maui Representative Kaniela Ing, along with Kahului Representative Justin Woodson, proposed hiking the minimum wage to $22.00/hour over five years: to $12.50/hour in 2018, $15.00/hour in 2019, $19.00/hour in 2020, $21.00/hour in 2021 and finally $22.00/hour in 2022. Senator Russell Ruderman (Puna, Ka‘ū) and Reps. Ing, and Woodson also proposed allowing the Counties to raise the minimum wage above the state wage in their communities. 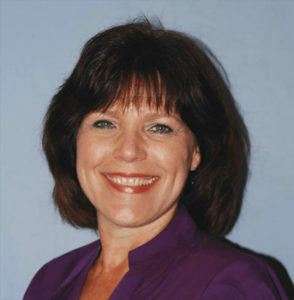 SB1165; HB442. Justin Woodson proposed hiking the minimum wage to $22/hour over a five year period, reaching this rate by 2022. Business-owners opposed the various minimum wage bills, arguing that additional expenses would need to be passed on to customers at higher prices or in cutting expenses, including reducing the number of employees. 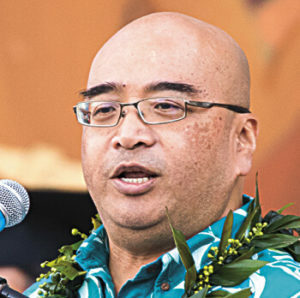 “Living wage is one piece of a larger puzzle that needs to be addressed regarding overall affordability and quality of life in Hawai‘i,” Rep. Woodson observes. Mary Wagner from the Labor Caucus of the Maui County Democratic Committee describes raising the Minimum Wage as a step in the right direction. She notes that nationally, fifty-five percent of minimum wage earners are women and 19 percent of children live in minimum wage households. NLIHC acknowledges that Minimum Wage increases are unlikely to completely close the housing affordability shortfall. Presently, twenty-nine States and the District of Columbia, and more and more local jurisdictions exceed the federal minimum wage. However, a worker earning only the prevailing minimum wage cannot afford a modest two-bedroom rental in any State, city or county. An analysis by Dr. Amy K. Glasmeir and the Massachusetts Institute of Technology indicates a Hawai‘i living wage would be $38.07 for a family consisting of one adult and two children. As noted above, the NLIHC Hawai‘i Housing Wage ($35.20) alone greatly exceeds the present State Minimum Wage ($9.25) and the highest proposed wage ($22) in the Hawai‘i proposals. Advocates and social service agencies see both the benefits and possible problems with raising the Minimum Wage too quickly and the impact of government mandating a living wage. Another idea proposed with little fanfare was adopted in a resolution to begin discussion over Universal Basic Income (UBI). A UBI program provides a minimum income amount to individuals regardless of need. UBI is not a new issue but in recent years has re-established some cache due to technological innovations and has supporters among progressives, entrepreneurs and conservatives. Silicon Valley innovators predict that with robotics and automation, there will be fewer available low skill, repetitive jobs in the future. Perhaps not surprisingly, Mark Zuckerberg, Elon Musk and Hawai‘i resident Pierre Omidyar have expressed support or actually invested in some of the UBI trials underway. UBI Experiments are being pursued in Finland, Kenya, Uganda, Canada and in Northern California. The Finnish approach is government funded. The Kenyan, Ugandan and Oakland trials are funded by voluntary private donations. Advocates argue that UBI will provide individuals with enough income to pay for basic needs. Unlike some conditions of existing social welfare entitlement programs, there would be no penalty if a person earned income. House Concurrent Resolution 89 (HCR89) received supportive testimony from public and private unions as well as the Hawai‘i Chamber of Commerce. “In some areas automation is already reducing wages and eliminating jobs faster than they are being created, so it’s important to start a discussion about how we can help local families make ends meet in the future,” Rep. Chris Lee (Lanikai- Waimānalo), the primary sponsor, explains. An example is that the Kaheawa Wind Farm in the West Maui Mountains is operated in part remotely off island. Other proponents support UBI as an alternate and more efficient way to address poverty. Conservatives argue that a UBI could be implemented without the inefficient administrative tasks performed by government bureaucracy currently to review and determine eligibility for various welfare programs. Further, the program itself could be funded by eliminating most of the existing bureaucracy. Critics respond such an approach may actually increase poverty since money currently aimed at helping the poor would instead be distributed to the entire population, whether they needed the UBI or not. Critics further point out that a stipend for 300 million adult Americans of say $10,000 after-tax income would require more than $3 trillion annually. That amount is equivalent to most of the tax revenue collected by the federal government. The federal budget in total is approximately $4 trillion dollars. Others have objections based on the philosophical place that work plays in American society. 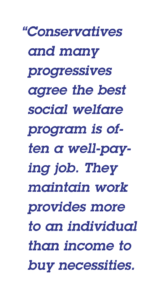 Conservatives and many progressives agree the best social welfare program is often a well-paying job. They maintain work provides more to an individual than income to buy necessities. A job often also provides purpose and a certain status that simply receiving a check for no effort does not. Further, a UBI is not means tested; it removes the relationship between aid and a recipient’s particular circumstances. A person receives the funds whether or not assistance is needed. HCR 89 calls on the Department of Labor and Industrial Relations and the Department of Business, Economic Development, and Tourism to “convene a basic economic security working group to address the potential for significant economic disruption and ensure the economic sustainability of Hawai‘i’s individuals and families in light of future automation, innovation, and disruption. The basic economic security working group is charged to (1) Assess Hawai‘i’s job market exposure to automation technologies, globalization, and disruptive innovation; (2) Assess Hawai‘i’s existing spending on social safety net programs and other relevant expenditures, as well as expected spending on those programs in light of anticipated automation technologies, globalization, disruptive innovation, and job losses; (3) Identify and analyze options to ensure economic security, including a partial universal basic income, full universal basic income, and other mechanisms; (4) Monitor studies, trials, and efforts in Hawai‘i and other jurisdictions relevant to the basic economic security working group; and (5) Seek out partnerships to publish or fund relevant trials or studies to evaluate options. The first report of the UBI working group is due at the end of this year. While minimum wage legislation failed and UBI is being explored, the legislature did pass a package of tax changes aimed at helping lower income households now. Since 2007, Hawai‘i has had a refundable food/excise tax credit intended to reduce the tax burden on residents on basic necessities. From 2009 to 2015, Hawai‘i’s highest income taxpayers filed returns at the higher rates. A new law makes the refundable food general excise tax credit permanent and restores income 9%, 10% and 11% tax rates for Hawai‘i’s highest tax brackets. Act 107 (2017) [HB209 HD1 SD1 CD1]. A section to expand the income tax credit for low income household renters, however, was deleted. The biggest change was the adoption of a Hawai‘i earned income tax credit (EITC) of 20% of the federal EITC claimed by a taxpayer. Act 107 (2017) [HB209 HD1 SD1 CD1]. The federal government has had a refundable EITC since 1975 to offset the burden of payroll taxes for low and moderate-income workers. Congress expanded the credit in the 1980s and 1990s to assist working families with children to boost income from work and reduce poverty in those households. The Tax Foundation testified the EITC “provides an incentive to low-income households to remain the workforce.” The federal government targets households with children but does allow a lower amount EITC to households without children. While the Tax Foundation notes that the EITC began as tax relief, it has evolved into a social policy tool to alleviate poverty among low-income working households. Advocates for the poor like the Hawai‘i Appleseed Center for Law and Economic Justice and policy makers refer to the EITC as the “most effective anti-poverty tool in the nation.” Unlike the federal EITC, the Hawai‘i credit initially will be nonrefundable. In short, the credit applies in a given year only to the extent of the taxpayer’s income tax liability. However, a taxpayer can carryover any excess credit to subsequent tax periods until exhausted. “Creating a Working Family Credit like the EITC and making the food tax credit permanent directly helps Hawai‘i’s households who struggle the most in making ends meet. People with the lower paying jobs to support their families will be able to keep more of their income to buy food, shelter and other necessities,” Jill Tokuda, Former Senate Ways and Means Chair recently explains. 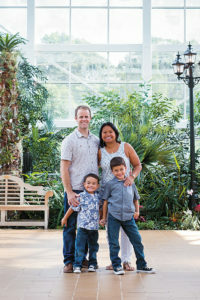 “This legislation will meaningfully reduce the cost of living for seniors on fixed incomes, working class folks, and struggling families who really need some tax relief as they struggle to keep up with the price of living in paradise,” adds Rep. Aaron Johanson (Moanalua, Foster Village, ‘Aiea), who introduced the legislation. Gilbert S.C. Keith-Agaran is a graduate of Maui High School, Yale College, and Boalt Hall School of Law, the University of California at Berkeley. He practices commercial, civil and administrative law with Takitani Agaran & Jorgensen, LLLP. 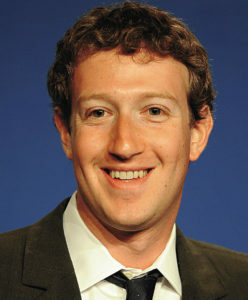 He is currently a State Senator for Central Maui, serving as Vice Chair of the Senate Ways and Means Committee. 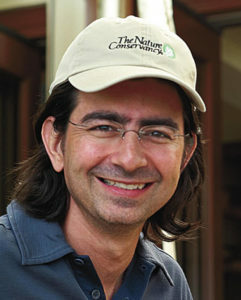 He previously served as chair of the House Judiciary Committee and the Senate Judiciary and Labor Committee. Keith-Agaran served in Governor Benjamin Cayetano’s administration (where he was the first Filipino appointed as Chairperson of the State Land Board) and Mayor Alan Arakawa’s administration. Along with reducing the impact of the new credit on the State budget, adopting a nonrefundable EITC reflects concerns with the IRS reports of an error rate over 22% annually for improperly paid EITC claims. The Department of Taxation noted in testimony that the IRS will be holding refunds where EITC is claimed to provide more time to verify claims. The State implementation will rely on federal notification of improper claims. In part, the five-year trial of the Hawai‘i nonrefundable EITC reflects the Tax Department’s suggestion that the State monitor the IRS reform before adopting a refundable EITC. 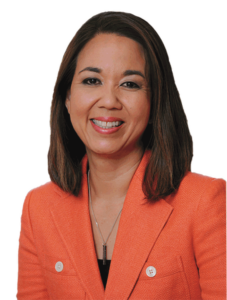 “The EITC and hopefully its expansion can help residents in the short term, and HCR89 will start a discussion to explore new ways to help ensure financial security for local families in the long term, and see what might work for Hawai‘i,” said Rep. Lee.